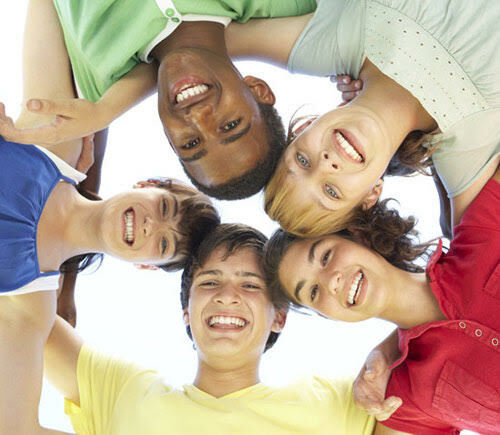 The general objective of our research is to study the nature, quality, functions, and sources of friendship and parent-child relationships during the transitions from elementary school (fifth grade) to middle school (sixth grade); from middle school (eighth grade) to high school (ninth grade); and from high school (twelve grade) to “beyond.” Thus far, data have been collected up until the first year post high school graduation. We have been examining how, and if, friendships and parent-child relationships are related to, and predictive of child/adolescent and family characteristics and to child/adolescent socio-emotional adjustment. 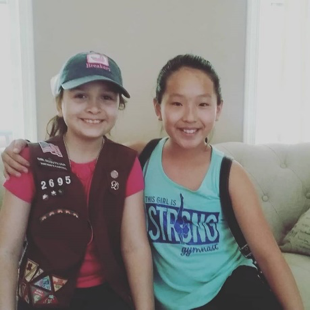 ​Of specific interest has been the evaluation of the prevalence, stability, and quality of the best friendships of 5th, 6th, 8th, 9th, and 12th grade children/adolescents identified as “typical” (control), socially withdrawn, or aggressive. Another aim of the study has been to determine whether the friendships of socially withdrawn and aggressive children buffer them from developing psychosocial difficulties or whether these friendships actually exacerbate their difficulties. We are also investigating whether, during these various transitional periods, friendship can serve as a protective factor when children’s/adolescents’ relationships with their parents are qualitatively troubling. Burgess, K.B. *, Wojslawowicz, J.C.*, Rubin, K.H., Rose-Krasnor, L., & Booth-LaForce, C. (2006). Social information processing and coping styles of shy/withdrawn and aggressive Children: Does friendship matter? Child Development. 77, 371-383. Bowker, J.C., Rubin, K.H., Rose-Krasnor, L., & Booth-LaForce, C.L. (2007). Good friendships, bad friends: Friendship factors as moderators of the relation between aggression and social information processing. European Journal of Developmental Psychology, 4, 415-434. Oh, W.*, Rubin, K.H., Bowker, J.C., Booth-LaForce, C.L., Rose-Krasnor, L., & Laursen, B. (2008). Trajectories of social withdrawal middle childhood to early adolescence. Journal of Abnormal Child Psychology, 36, 553-556. Rubin, K.H., Bowker, J.C., & Gazelle, H. (2010). Social withdrawal in childhood and adolescence: Peer relationships and social competence. In K.H. Rubin & R.J. Coplan (Eds), The Development of Shyness and Social Withdrawal in Childhood and Adolescence. (pp. 131-154). New York:Guilford. Rubin, K.H., Coplan, R., Bowker, J.C., & Menzer, M. (2011). Social withdrawal and shyness. In P.K. Smith & C. Hart (Eds), Wiley-Blackwell Handbook of Childhood Social Development. (2nd Edition). (pp. 434-452). New York: Wiley-Blackwell. Rubin, K.H., Malti, T. & McDonald, K.L. (2012). Civic development in relational perspective. In G. Trommsdorff & X. Chen (Eds.) Values, Religion, and Culture in Adolescent Development. Oxford University Press. Oxford, UK. Rubin, K.H., Bowker, J.C., McDonald, K., & Menzer, M. (2013). Peer relationships in childhood. (pp. 242-275). In P. D. Zelazo (Ed. ), The Oxford Handbook of Developmental Psychology. (Vol. 2) Oxford, UK. Rubin, K.H., Bukowski, W., & Bowker, J. (2015). Children in peer groups. In M. Bornstein & T. Leventhal (Volume Eds.) and RM. Lerner (Series Ed. ), Handbook of Child Psychology and Developmental Science (formerly The Handbook of Child Psychology), Seventh Edition, Volume Four: Ecological Settings and Processes. pp. 175-222. New York: Wiley. Rubin, K.H., Coplan, R. Chen, X., Bowker, J.C., McDonald, K. & Heverly-Fitt, S. (2015). Peer relationships. In M. H. Bornstein & M.E. Lamb (Eds. ), Developmental Science: An Advanced Textbook. (7th edition). Pp. 587-644. New York: Psychology Press.